When existing employees talk about a companys values, mission, and vision, it is far more likely to attract their peer than just brand voice. 82% of employers rated employee referrals above all other sources for generating the best return on investment, according to one survey. When it comes to attracting and sourcing top talent, employee referrals has been a popular channel. But now, with the rise of HR technology and social talent platforms, we are seeing the rise of “social referring”. 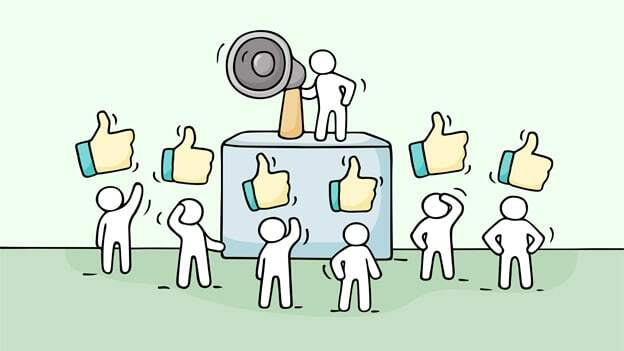 Existing employees are using the LinkedIn and Facebook to propagate their ‘Employer Value Proposition’ through online interactions such as shares, likes, comments etc., Social referring thus relies heavily on employees acting as the company’s brand ambassadors. Referral machines are built on the principle that high achievers know other high achievers. When employees share their trusted contacts for any openings with the organization, the recruiting reach of the company grows exponentially – which means companies can wait for the right talent to come to them. Each time an employee talks about the company, job opportunities and culture, it boosts the employer brand in a way that is unmatched by any traditional employer branding spend. For referrals to be successful, employees and alumni must be aware of existing openings. Companies often struggle with the issue of how to keep open jobs on the referral radar of the employees. They employ a number of methods including mailers, company social networks and team meetings to make employees aware of available jobs. Advanced social recruiting solutions not only connect the workforce, they also mine employees’ contacts for potential talent, and proactively suggest connections to drive referrals. More companies are also using external social media tools like Twitter and Facebook to make it easy for employees to share job openings with their own social networks. Referral platforms should focus on allowing employees and alumni to participate at the click of a button thereby dramatically increasing participation levels. A few companies are also experimenting with referral platforms that use the gamification technology to make the referral processes more engaging and interactive with the goal of making the process more fun for employees. When companies explore the option of using external referral solutions, they need to ensure that there is brand consistency throughout the process. Be it communications in the form of branded emails or directing applicants to the corporate career page, when there is brand consistency throughout the application process, it eases the candidate experience. Advanced referral platforms such as the Oracle Social Sourcing tool automatically take into account brand consistency. In an age when recruiters are facing growing challenges to find the right talent to suit the needs of the organization, they are increasingly dependent on technology-based solutions to take the full advantage of employee and alumni social networks. Identifying the right technology tool with the goal of addressing the prevailing gaps in branding issues, motivating and rewarding employees at the right time and creating the right platform to make the referral process easy will go a long way in boosting social referrals.